ParaNorman is a stop motion animated movie that takes the 6th sense concept of seeing dead people & hopes to take it to another level. This latest production is being released from Laika Entertainment, the folks that backed films such Coraline & Corpse Bride (back in the day). 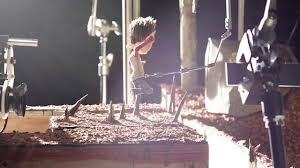 The production team behind ParaNorman really pushed to make the next great stop motion movie. 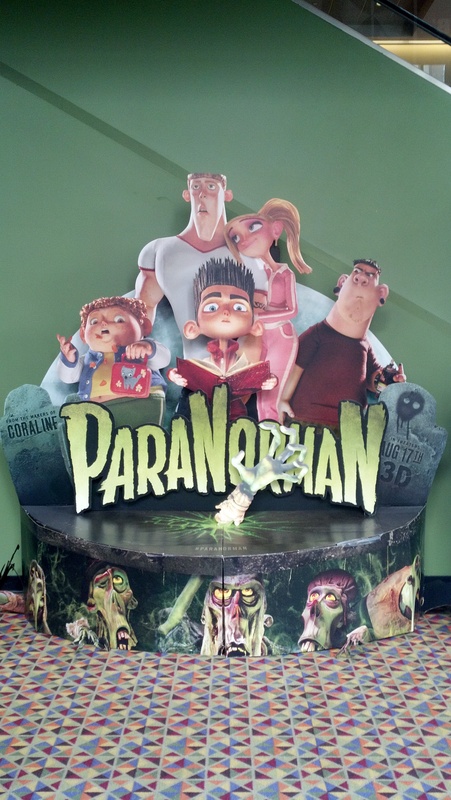 But could ParaNorman conjure up a satisfying movie experience? Paranorman is about a soft-spoken little boy named Norman Babcock (voiced by Kodi Smit-Phee) who is fascinated with the occult. This fascination is mostly influenced by his ability to see & speak to dead people. This obviously causes him to be the object of ridicule in town as well as at home. However, when the town is celebrating the anniversary of the execution of a notorious witch, Norman is visited by the ghost of his Uncle & tells him how he can prevent the witch curse from being fulfilled. As strange things start happening, the town will have to turn to the young outcast in order to make things right. 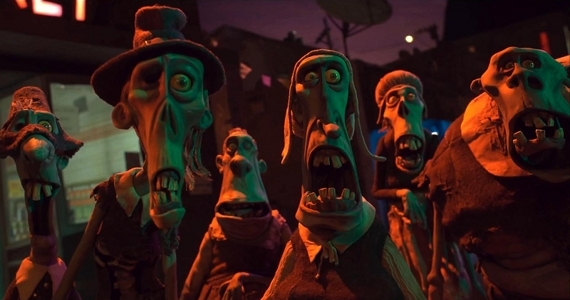 Paranorman is a visual treat of tricks. It avoids the trap of having the same look as previous stop motion movies. (i.e. Coraline, Corpse Bride, Nightmare Before Christmas) This stop motion animated film is well constructed as its very detailed in its execution as well as you can see in the finished product. This film is also one of the few films I would recommend to see in 3D. Not necessarily because the film relies on it, but to get the full feel of the experience. It’s not simply ghosts flying at your face. The 3D enhances the depth of field between characters, & makes certain sequences feel as if you are there. Whether or not you do is entirely up to you, bit this is one film that is worth the try in 3D. But the 3D debate aside, ParaNorman has a certain style & aura that sets it apart from previous movies of the same type. ParaNorman is not a movie that relies on effects to sell the movie (I’m looking at you Transformers & Avatar.) as it has an entertaining story. While it begins with familiar nuances & character types, it is presented in a way that is quite very entertaining, all culminating into an action-packed, unpredictable final conflict that will have you on the edge of your seat. At the same time, it’s a very funny movie. Very often, when the humor in a family movie is being described, one might think of corny fart jokes, & slapstick humor. While there are some jokes like that, teens & adults will be surprised how many jokes they will find funny. There were times were the adults were laughing more frequently than the kids. Granted, some of the jokes may be a bit adult, but some are brilliantly written as they will go over the heads of the children. (Translation: This movie won’t corrupt your kids.) When coupled with excellent voice casting from talented actors such as Anna Kendrick, John Goodman, & Elaine Stritch, ParaNorman tells a story that is fun & whimsical, while at the same time having heart. While the movie deals with ghosts, zombies, and the like in a way that can be fun, some of the action can be too dark & very intense for sensitive & impressionable viewers. A couple of the sequences can & most likely will scare small children. Though it may be a bit more intense than Nightmare Before Christmas, if your children (younger sibling) are fans of those type of movies (i.e. Nightmare Before Christmas, Coraline, Corpse Bride), then there really shouldn’t be too much of a problem.